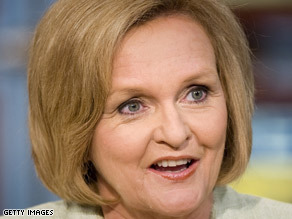 Missouri Sen. Claire McCaskill has some fighting words for former North Carolina Sen. and onetime presidential candidate John Edwards. Audio of the exchange is available here. Edwards acknowledged having a child with a former videographer last week after denying he was the father for more than a year. The National Enquirer first exposed Edwards affair with the videographer, and recently claimed that Edwards had been caught cheating again. He remains married to his wife, Elizabeth Edwards, who has been diagnosed with terminal cancer.